This is a genuine factory Haws 6399 - 0.4 GPM Flow Control. 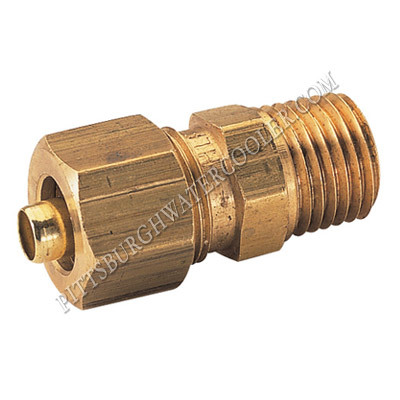 This flow control is a brass compression connector with 0.4 GPM flow rate and is used on the discontinued pedestal freeze-resistant valve Model 6516HFP. Provides a proper drinking stream height at pressures varying from 30 to 100 PSI. Dimensions: 1/4" NPT(M) inlet x 3/8" OD compression outlet.